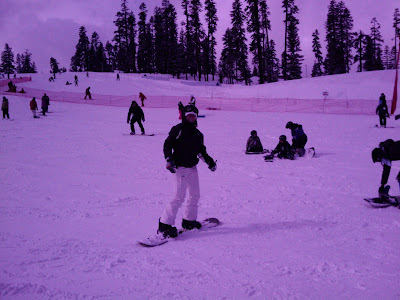 I realize how purple this picture is but it was snowing and taken by a cell phone. We didn't pack the cable for the camera so no uploads of good shots available. All in all it was a great time and I'm looking forward to going again!